Like notes in a proper melody, everything fits together in this piece. 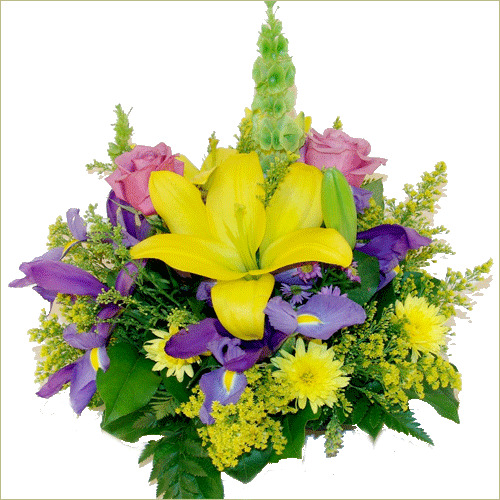 The base is formed by solidago and yellow pom poms, irises and lavender roses add variety, and the lily and irish bell in the center finish it off with flair! Standard arrangement includes 11 stems. Deluxe arrangement includes 14 stems. Premium arrangement includes 17 stems.